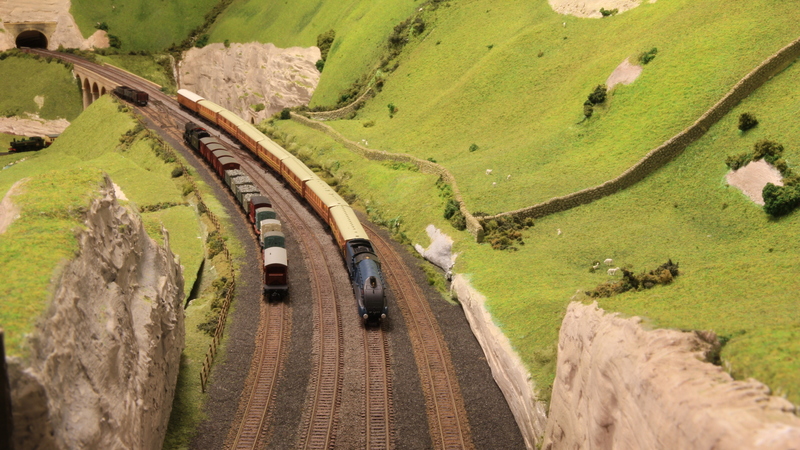 Ingatestone 00 is the club’s 00 scale layout. It is inspired by the real location of Ingatestone station in Essex which is on the Great Eastern main line between Shenfield and Chelmsford. This location offers a classic railway scene of station and level crossing with signal box with a main line sweeping in from countryside to village. 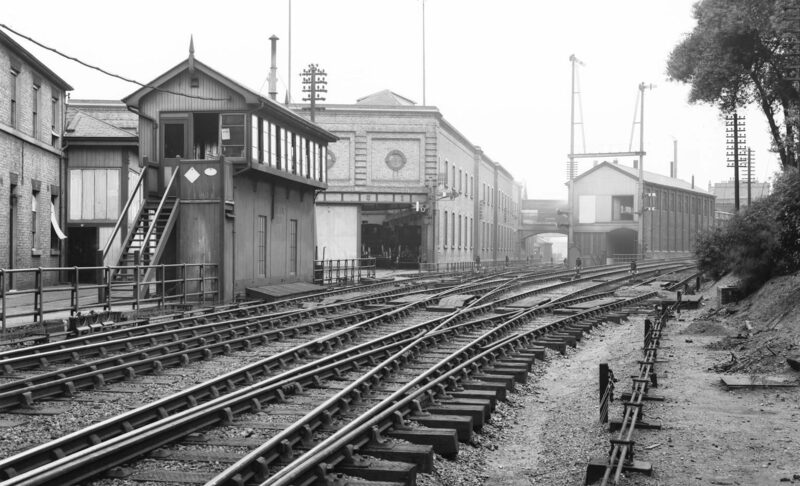 The buildings are grade II listed dating from the late 1840’s and 1880’s some of the late 1950’s overhead line structures are still in place. The station and location offers a timeless atmosphere that could pass for any time in the past 60 years. The station has been refurbished and brought back into use in the past four years. Ingatestone is today a commuter station with extensive car parking for the Essex, while the main line also sees non stopping freight trains and the inter-city trains between London and Norwich. The railway we are modelling will be historic by 2020: the predominantly British Rail built trains will be gone with total fleet replacement so we are a historic post privatisation project! Ingatestone is a modern image two track mainline set in between years 2014/17 in the Autumn season, this snap shot in time provides us a railway between franchises which will be reflected in the paint schemes of the rolling stock which is to be prototypical and modelled from ready to run, which has been fine detailed, or converted with commercial products or in house made components. At present, some rolling stock is kit built, the scenic structures are a mix of kits or made from scratch built items. 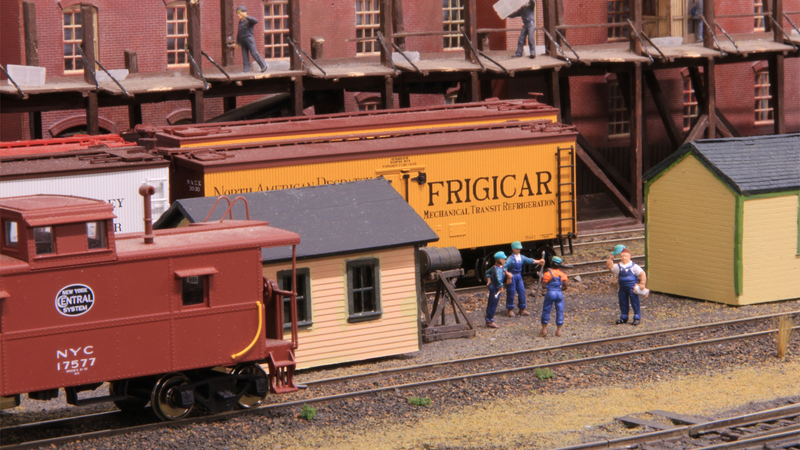 Ingatestone OO shares its 13 track fiddle yard with the club’s HO layout Putnam Yard. 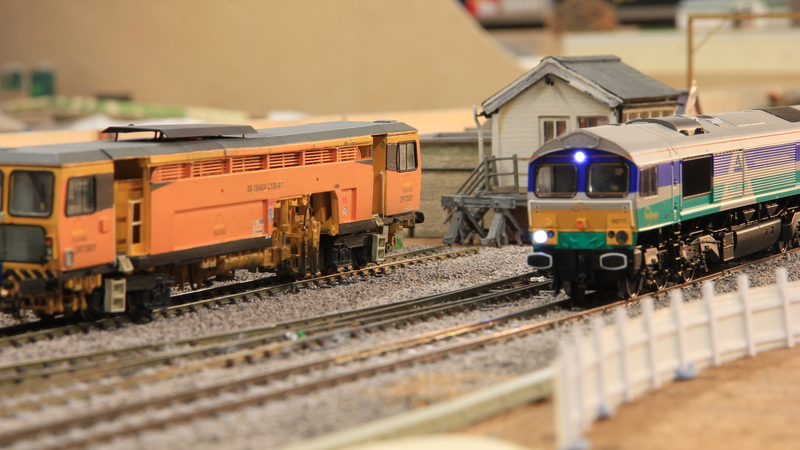 Ingatestone is a DCC controlled layout with touch screen controlled points and automatic colour light signals. 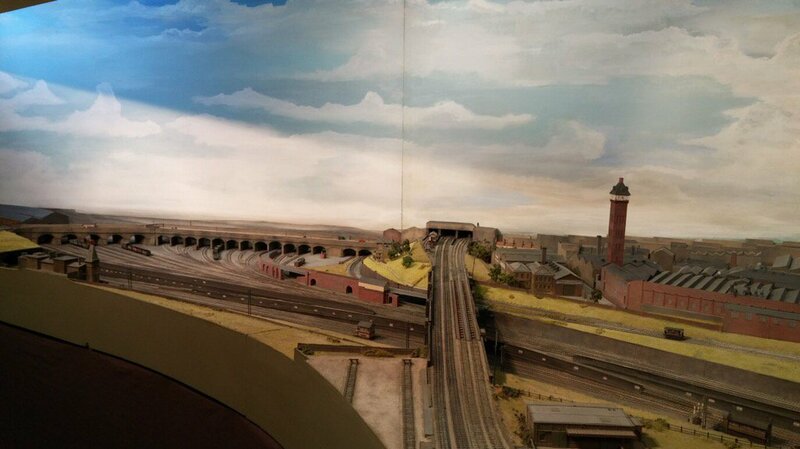 The 20ft x 10ft scenic section has Overhead line equipment based on the original late 1950’s prototype. 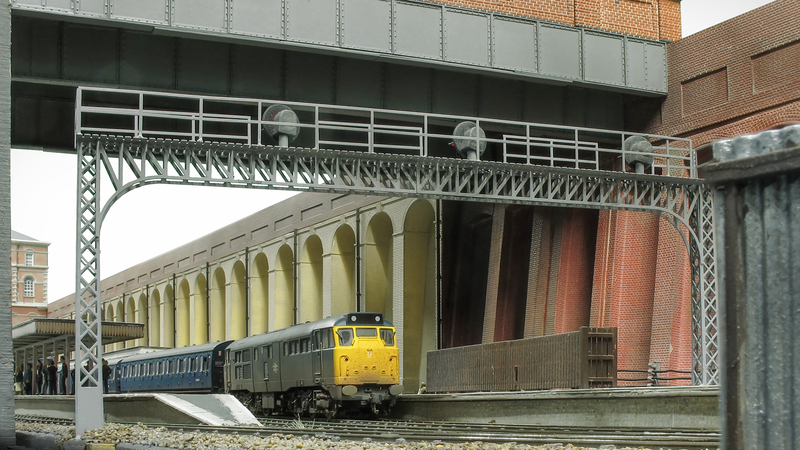 Ingatestone OO was started in 2015 and in 2018 we were the clubs featured layout at the London festival of model railways as an ‘in-progress’ project. Future work will see more of the scenic landscape come into existence and much refinement of the technical side of operations. There is much work to do. On the rolling stock side, there is also on going weathering, rebuilding, fitting lights etc… We also still have buildings to make including apartment blocks and garden sheds and many, many trees. In short there is much to offer to both skilled and novice modellers. Is Ingatestone still looking for members? No. You volunteer your time. Dose rolling stock have to be DCC chipped? At this time yes, DC will be added. Can I run Steam/Diesel out line stock? Not at exhibitions, but all stock OO/HO is welcome on running nights. Is the layout up permanently? No the layout rotates with other large layouts for space in the lower hall. Is the computer and DCC difficult? With practice it has been proven to be user friendly. How do you keep in contact? By closed e-mail group/private e-mails.